The North Carolina General Assembly Careers portal provides a completely online process for applying for open positions. Below is some helpful information to assist in this process. On the Posting Details page, click the "Add Files" section header to expand it and upload required documents such as: resume, cover letter, transcripts etc. Click the Register link. Enter a valid email address and then enter/confirm a password. (Your password must be at least 8 characters long with a minimum of 1 lower case letter [a-z], 1 upper case letter [A-Z] and 1 number [0-9]). An email will be sent from "NC General Assembly Careers (noreply@ncleg.net)" to the email address provided, and will contain a link and instructions to confirm your account. Once the "Confirm Email" link is clicked, you will be redirected to the NCGA Careers page and an Email Confirmed message will be displayed. You may then log in and begin creating your profile. Click the Log in link and enter the email address and password associated with your account. If you have not completed your profile, you will be directed to the Profile page for completion. If you have already completed your profile and need to review or modify your entries, click the Profile link and navigate to the desired section to edit. Click the "Save Progress" button once you are ready to save changes. Once you have saved your profile with the required fields complete you are able to apply to a position. From the "Available Positions" section of the main Position Postings page, click on the title link of the position to view the details. To apply for the position, click the "Begin Application" button. If the "Begin Application" button is disabled and the following message appears, your profile has not been saved with the minimum requirements to apply. From the Profile page, verify all required fields are complete. Scroll to the bottom of the page and click the "Submit Application to Position" button. Select a position title from the available options. The information provided on the Profile page will be used to generate an application document which will be attached to the posting. You will be prompted to review the generated application document once it has been generated. You will not be able to upload files if you have not already applied to the position. (see the How do I apply for positions section for more info). You will not be able to upload files if the posting is closed. Click on a position title to view the Posting Details page. Click the "Add Files" section header of the posting to expand it. Click the "Select Files" button to select the files you want to add. Click the "Open" button within the Open file dialog. Once the upload process completes, the page will reload and the documents will appear in the "Attached Files" section. If you notice that the name of the file is not what you want, simply click the "Edit" link at the end of the row and then edit the name of the file. If any information on your application needs to be updated prior to a position's closing date: Log in, return to the Profile page, make the necessary updates, and click the "Save Progress" button. A prompt asking "Would you like to regenerate all submitted applications for open postings?" will appear.  If this change is only applicable to one posting, answer No and then navigate to that posting, expand the Attached Files section and click the "Regenerate Application Document" icon to the right of the NCGA Application Document. To view the positions you have applied for, Log in and click My Submissions. Click the position title to view your full submission including uploaded files. If the posting is still open, you can modify or add to your submission. Log in, go to the Position Postings page, click the title link for the position that you would like to withdraw your application from, click the "Withdraw Application" button. If this button is not visible, the closing date has passed. Follow the steps to Register, log in, and complete and save your profile. From the profile page, click the "View Sample Application" button at the bottom. The application will be generated and displayed in a new tab. Print the application. Note: Certain browsers display the Job Title and Vacancy Number fields as editable fields allowing you to add that information before printing. If you wish to include that information when you print, you will need to select from the Printer selection screen either "Adobe PDF" (or other Print to PDF option) if using Edge or "Save as PDF" if using Chrome and then print the resulting document. Downloading and printing will print with the editable form fields blank. Download a hard copy of the NCGA Application. If additional work history rows are needed, you may access additional pages here. Print and complete the application, then deliver it along with any and all other required documentation to the address listed at the top of the application. Contact Website Support if you have technical issues using this website.